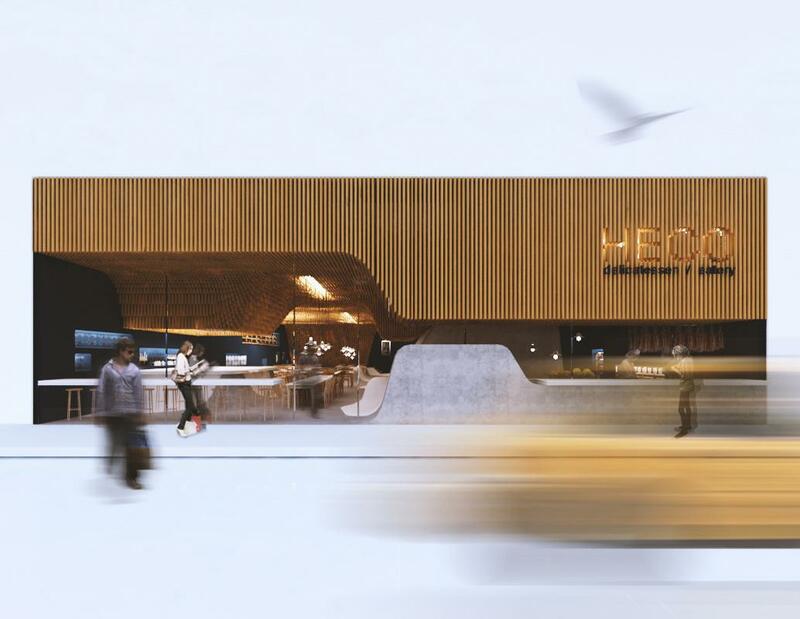 HECO is a Greek Deli-Restaurant-Bar in downtown New York. 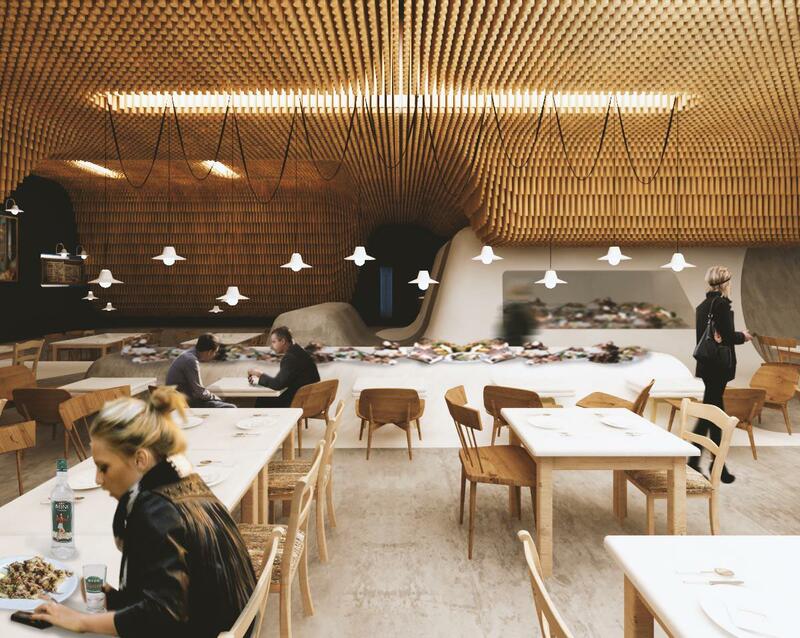 It is a multifunctional space that accomodates a restuarant, a bar, a deli, private dining and private events. These multiple services unfold within the restaurant at different intervals. The space becomes a flexible stage for a variety of performances throughout the day. 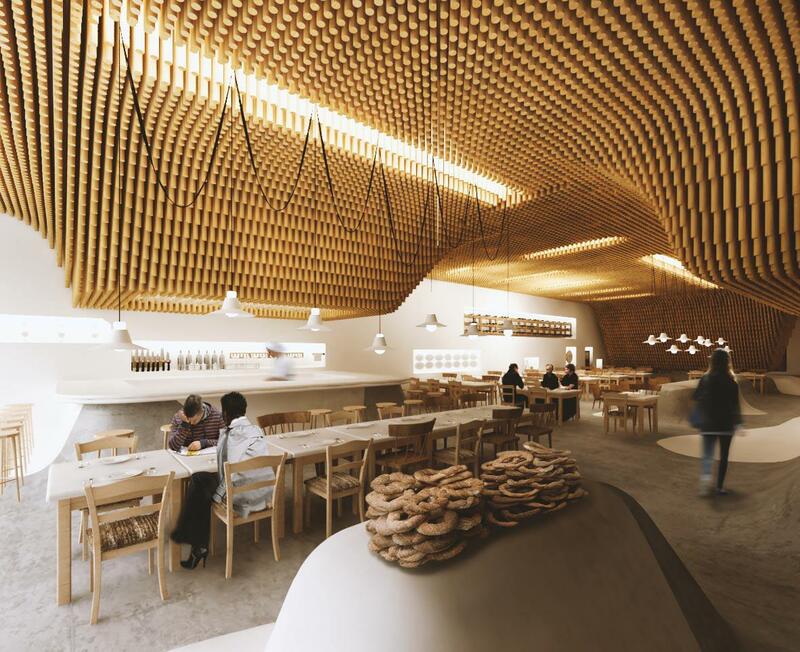 The design aims to celebrate the materials and the construction techniques of traditional Greek architecture and interpret them in fresh forms and combinations. We wanted the design to emanate the Greek social dining attitude and culture, whilst making it feel exciting and contemporary. Inspired by the white washed houses of the Greek Cycladic islands the floor and the walls merge to form a topography utilised by the activities taking place in each area. 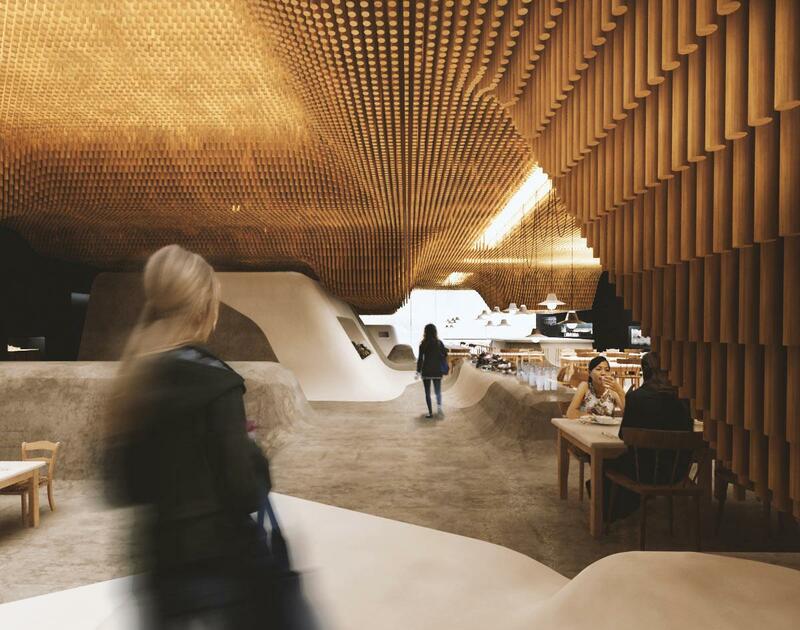 The ceiling follows a reflection of this topography in a landscape of vertical pine rods. This deep surface screens the mechanical and electrical systems and the lights hidden withing it filter through like dappled sunlight. Together the topographies designate zones within the space and help guide visitors throught them.